HMD Global has scheduled a launch event in India on August 21 and it is set to launch the Nokia 6.1 Plus at the event. Now, it is confirmed that the smartphone will be Flipkart exclusive. A video teaser posted by Flipkart featuring musicians Shankar, Ehsaan, Loy confirms that a Nokia device is coming tomorrow. Flipkart has partnered with HMD Global to sell the Nokia 6.1 Plus variant in India. It is to be noted, Nokia 6.1 Plus is the global variant of the Nokia X6 that was launched in China back in May. The Nokia 6.1 Plus with Android One was also launched in Hong Kong last month. The highlights of the phone are notch display, dual cameras etc. The iconic musicians Shankar, Ehsaan & Loy come together for a jamming session and try guessing the secret behind Flipkart's #TwoOfAKind. Watch the video to know what happens next! 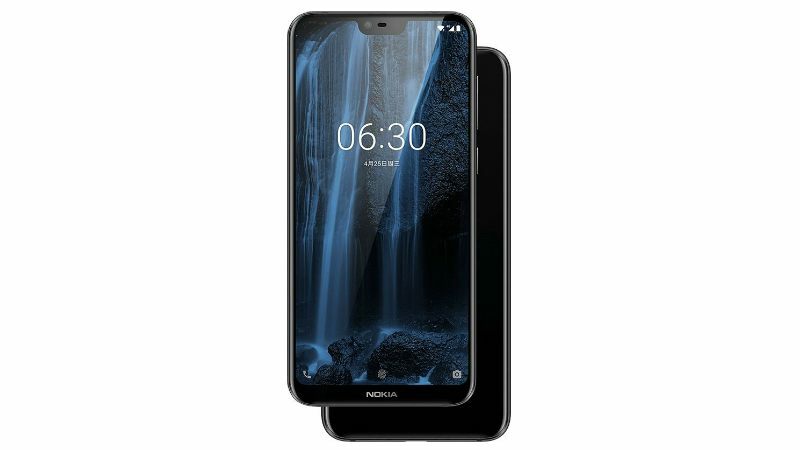 Nokia 6.1 Plus has been launched in Hong Kong at a starting price of HKD 2,288 (Rs 20,100 approx.). So, it is expected to be priced around the same in India as well. We expect Nokia 6.1 Plus price in India could be Rs. 18,999. If we talk about specs, the Nokia 6.1 Plus sports a 5.8-inch FHD+(1080×2280 pixels) notch display with 2.5D Gorilla Glass 3 protection. It is powered by an octa-core Snapdragon 636 chipset coupled with 4GB RAM. The smartphone runs on stock Android 8.1 Oreo. In terms of camera, it sports a dual rear camera setup with a 16MP+ 5MP combination. Up front, it has a 16MP camera with f/2.0 aperture and 1-micron pixel. The camera also supports features such as portrait lighting effects, face recognition, HDR support, and Bothie. The device is powered by a 3060mAh battery that supports Quick Charge 3.0. Connectivity options on the smartphone include 4G VoLTE, Wi-Fi 802.11ac, Bluetooth v5.0, GPS/ A-GPS, 3.5mm headphone jack, and USB Type-C port. I Think Now X6 Will Face So Much Struggle To Get Buyers.